Reprinted from Agricultural History, Vol. 31, No. 4., Fargo, N.D, October, 1957, pp. 44-49. 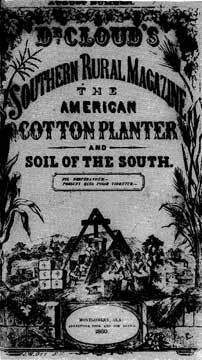 The American Cotton Planter was Cloud's most significant contribution. 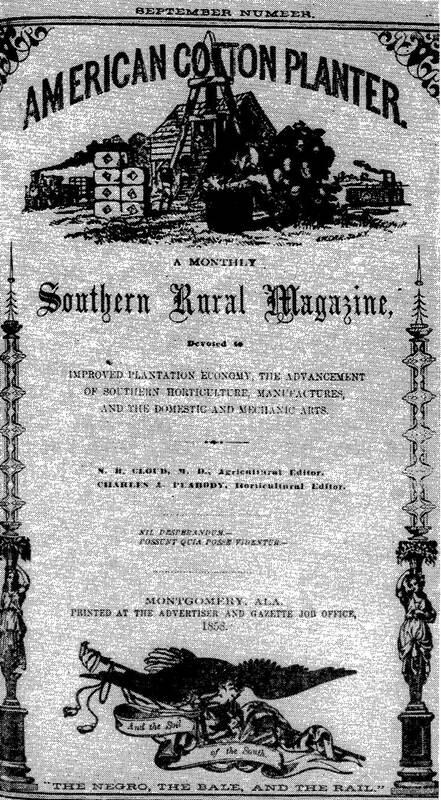 The journal was begun in Montgomery, Alabama, in January, 1853. Its original circulation was less than 500; it reached a circulation of more than 10,000 in December, 1858. Thus, with the possible exception of the Southern Cultivator, a Georgia agricultural magazine edited by Daniel Lee, it became the most popular periodical in the South before the year 1860.2 There is much evidence to show that, next to newspapers, many Southern readers preferred agricultural journals to all forms of literature. Cloud deserved his excellent reputation as a promoter of agricultural reform. As much as any man in the South, and perhaps in the United States, he warranted the compliment in 1859 that he was one "of the old veterans in the cause of our country's salvation . . . ,"25 A little newspaper in Alabama also remarked, December, 1860, that "Dr. Cloud's agricultural and horticultural monthly, . . . still holds its place among the agricultural works of the country. The Doctor is one of the most enterprising men to be found anywhere, and the pages of his work give evidence of the fact. "26 If he had accomplished nothing else, his skilled editorship of his magnificent agricultural journal would have been more than enough to warrant the conclusion that he was one of the outstanding advocates of economic reform in the antebellum South. Alabama did indeed make some noteworthy agricultural accomplishments during the 1850's. The acreage of improved farm land increased from 4,435,614 in 1850 to 6,385,724 in 1860, and the value of farms rose from $64,323,224 to $175,824,622. Among the 33 states in 1860, Alabama ranked second in cotton production, third in sweet potatoes, fifth in domestic manufactures, seventh in peas and beans, ninth in corn, and tenth in value of livestock and slaughtered animals.30 She was by no means self-sufficient, but she was making progress in that direction. If Cloud had died during the Civil War, he would very possibly be remembered as a state hero; but since he lived for a decade after 1865 and became a Scalawag, he died something of a scamp in the eyes of many Alabamians. His politics were not altogether unusual, however, and it is more than likely that what he did after 1865 he did for what he considered the good of his state. The modern Southerner does not consider all Scalawags to have been dishonest. Cloud's politics are not hard to understand; he acted as did many other men of his generation. Before the Civil War he was an active member of the Whig party and he was also a Unionist, but at the same time he was a Southerner, which he showed by serving as a Confederate surgeon during the Civil War. After the War he affiliated with the Republican party in Alabama, thus becoming a Scalawag. Still very much interested in promoting Alabama's agricultural and industrial resources, he corresponded frequently with the United States Commissioner of Agriculture. He also wrote a series of newspaper articles entitled "The Industrial Resources of Alabama," thereby helping to create a Commission of Industrial Resources. He sponsored immigration to Alabama, and became the state's first Commissioner of Immigration. Continuing his long-time interest in public education, he won election as State Superintendent of Education in 1868. Two years later he was elected to the Republican state legislature, where he reiterated his earlier support of an agricultural and mechanical college, this time under the provisions of the Morrill Act. He lived to see the establishment of A. and M. College at Auburn, Alabama, in 1872.31 As a promoter of agriculture, he unquestionably did more for the good of his state than any of his contemporaries. *This paper was read at the joint session of the American Historical Association and the Agricultural History Society in St. Louis, Missouri, December, 1956. Portions of the paper will appear in the author's forthcoming book, Ante-Bellum Alabama: Town and Country, which is to be published as a number in the Florida State University Studies (1958). Research for the paper was conducted with grants-in-aid from the Social Science Research Council and the Florida State University Research Council. 1 For a summary of Cloud's activities, see Weymouth T. Jordan, "Noah B. Cloud's Activities on Behalf of Southern Agriculture" Agricultural History, 25:53-58 (1951). 2 Advertiser and State Gazette (Montgomery, Alabama), October 29, 1856, March 24, 1857, January 5, 1858, September 28, 1859; Harper's Weekly, 2:757 (1858); Journal and Messenger (Macon, Georgia), December 29, 1858; Macon Republican (Tuskegee, Alabama), June 12, 1856. 3 American Cotton Planter(1853-1856) and American Cotton Planter and Soil of the South (1857-1861), passim. 4 Alabama Planter, 7:29 (1852). 5 Weekly Alabama Journal (Montgomery, Alabama), January 29, 1853. 6 Ibid., February 19, 1853, quoting Tribune (Mobile, Alabama). 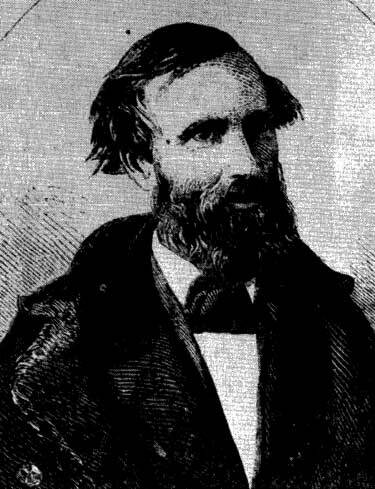 7 Southern Advocate (Huntsville, Alabama), February 23, 1853. 8 Advertiser and State Gazette, February 12, 1853. 9 Autauga Citizen (Prattville, Alabama), March 24, 1853. 10 Macon Republican, March 24, 1853. 11 Weekly Alabama Journal, March 12, 1853. 13 Soi1 of the South, 3:497 (1853). 14 Gazette (Auburn, Alabama), quoted in Daily Alabama Journal (Montgomery, Alabama), May 2, 3853. 15 Tri-Weekly Journal (Montgomery, Alabama), May 25, 1853. 16 Spectator (Wetumpka, Alabama), January 15, 1857. 17 Daily Mail Montgomery, Alabama), January 7, 1857. 18 Clarice County Democrat (Grove Hill, Alabama), March 12, 1857. 19 Daily Mail, October 6. 1857. 20 Republican (Jacksonville, Alabama), August 19, 1857. 21 West Alabamian (Carrollton, Alabama), October 21, 1857. 22 See, for example, the following newspapers published in Alabama: Greensboro Alabama Beacon, April 24, 1857; Huntsville Democrat, April 7, 1853; Livingston Sumter County Whig, January 25, 1853; Tuskegee Macon Republican, July 13, 1854. See also the Carrollton West Alabamian, October 28, 1857; Florence Gazette, November 12, 1858; Gainesville Independent, October 10, 1857; Grove Hill Clarke County Democrat, November 6, 1856; Tuscaloosa Independent Monitor, June 18, 1857; and Wetumpka Dispatch, August 7, 1857. 23 Arator, 3:781 (1857) ; Farmer's Journal, 3:135-138 (1854) ; North Carolina Planter, 1:68-69 (1858); Farmer and Planter, 5:6 (1854), 10:11-13 (1859). 25 Southern Cultivator, 17:142 (1859). 26 Independent (Gainseville, Alabama), December 15, 1860. 27 Weekly Alabama Journal, December 13, 1856. 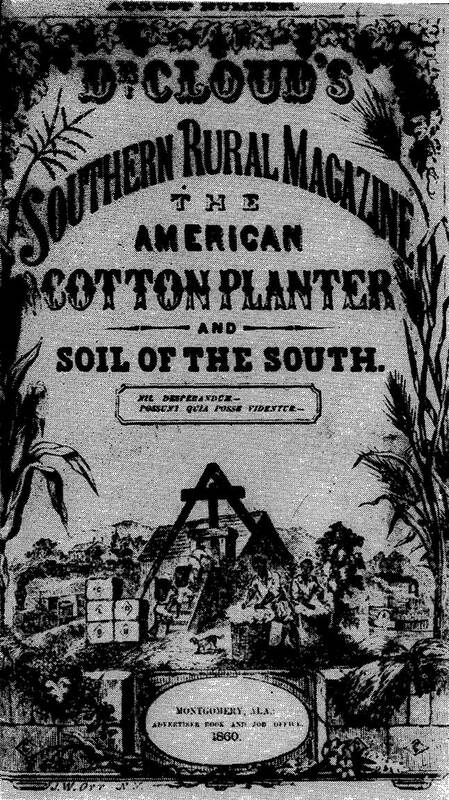 28 American Cotton Planter and Soil of the South, 4:386 (1860). 29 Report of the Commissioner of Patents, for the Year 1858, Agriculture (Washington, 1859), 92. 30 Agriculture of the United States in 1860, Compiled from the Original Returns of the Eighth Census (Washington, 1864), xlvii-xlix, Ixxiv, Ixxxi, xciv, cxxvi, 186-187; A Compendium of the Ninth Census (Washington, 1872), 688, 690; Lewis C. Gray, History of Agriculture in the Southern United States to 1860 (2 vols., Washington, 1933), 2:1040, 1042; Donald L. Kemmerer, "The Pre-Civil War South's Leading Crop, Corn," Agricultural History, 23:236-239 (1949); James B. Sellars, Slavery in Alabama (Tuscaloosa, 1950), 41. 31 Alabama Planter, 8:297 (1854); Harper's Weekly, 2:756-757 (1858); and the following newspapers of Montgomery, Alabama: Daily Advertiser, September 27, 1872; Daily State Sentinel, August 24, September 4, October 9, 24, November 2, 9, 1867; Weekly Journal, May 24, 1851; Weekly Mail, October 19, 26, 1870. See also Tuskegee Macon Republican, August 19, 1852.